Crunchy granola made with Fairtrade certified ingredients including raisins, cranberries, sunflower seeds, almonds, chopped dates blended with crunchy oats and crisped rice for an ethical filling breakfast or snack. Oat Crispy Crunch (58.5%) (Wholegrain Oat flakes, Sugar, Crisped Rice (Rice Flour, Sugar, Malt Extract, (from Barley) Raising Agent Calcium Carbonate, Sunflower Oil, Emulsifier: Sunflower Lecithin), Palm oil, Honey, Caramelised Sugar Syrup Powder), Raisins (13.3%) (Chilean Flame Raisins, Sunflower Oil), Dates (10.6%), Sunflower Seeds (10.6%), Dried Cranberries (3.8%) (Cranberries, Sugar, Sunflower oil), Almonds (2.9%). Contains oats, barley and almonds. May also contain soya, milk, peanuts, tree nuts and sesame seeds. 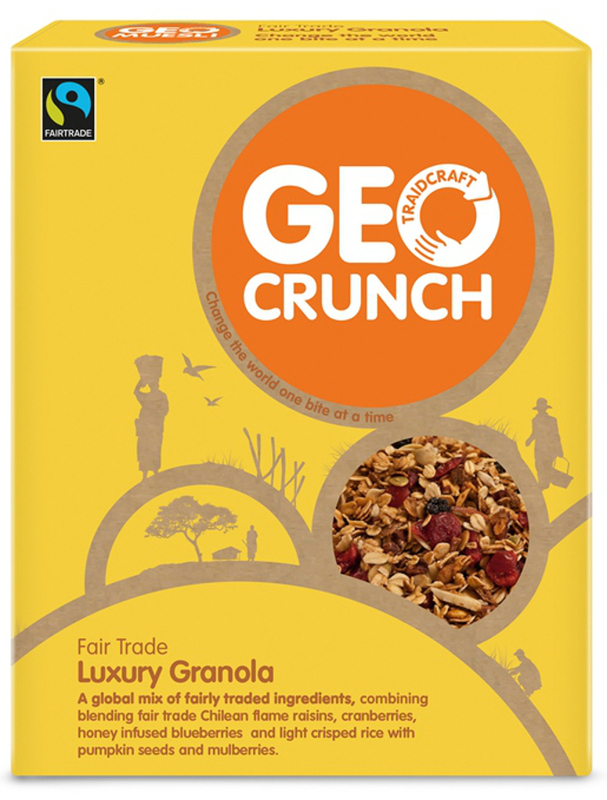 The Geo Crunch Luxury Granola 350g product ethics are indicated below. To learn more about these product ethics and to see related products, follow the links below. 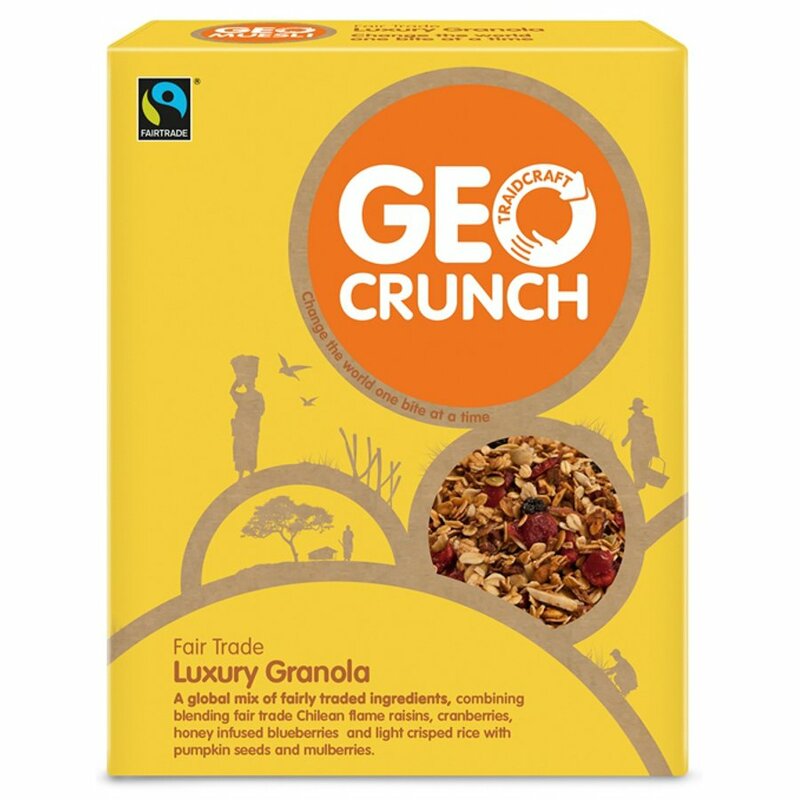 There are currently no questions to display about Geo Crunch Luxury Granola 350g.